I don't usually post on Sundays, but today I saw 2 pictures that were so cool, I just had to share them. 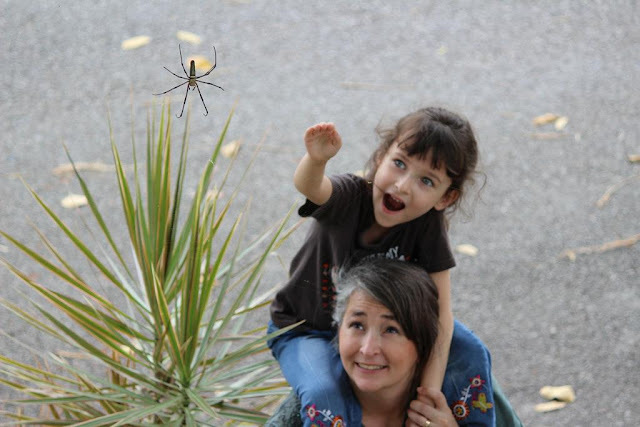 My mom, my baby sister, and a giant spider. I assume the pictures were taken by my dad. A lot of people say that Sarah and I are alike, but here's where we are not alike. Unlike Sarah, I would not happily pose for a picture with a spider the size of my face. My reaction to a large spider can be found here. hahaha gross! I hate spiders too. That is disgusting. I HATE spiders. Unless they're in a cage. The pictures are quite beautiful, though. Seriously...I would have been running the other way. Awesome picture but its still terrifying! I HATE spiders. Eeek! What a beautiful, brave little sister! 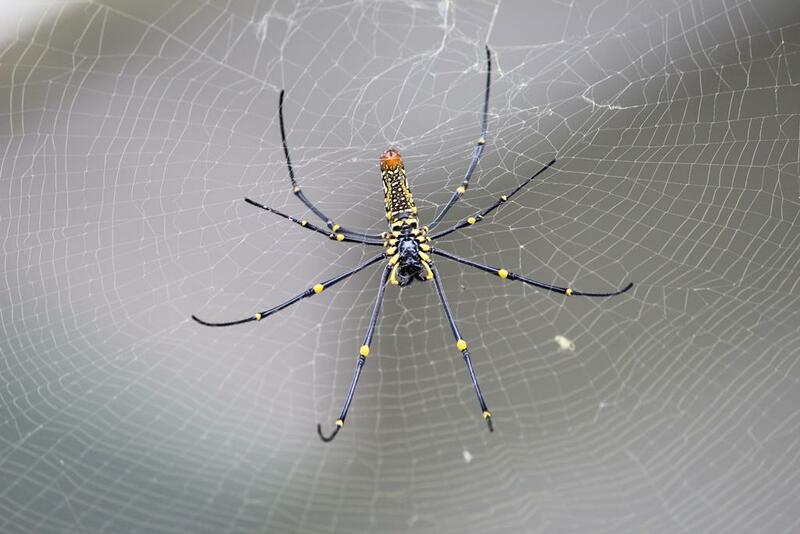 I'm even scared of your spider photos! Ick!